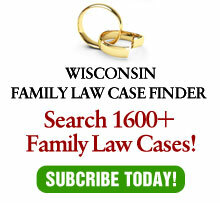 It’s been a while since I’ve ranted about Wisconsin wussy system of disciplining lawyers for misconduct. Today, the SC gives me an easy target. In a decision today, the court suspended the license of Attorney Robert Paul D’Arruda for three years. failed to file an answer to the complaint, amended complaint, or second amended complaint. He also failed to appear at multiple telephonic scheduling conferences. The referee found him in default and accepted OLR’s recommendation of a three year suspension. Really? This lawyer does not deserve a revocation? He should be allowed to petition to have his license reinstated? The decision of the Wisconsin SC was unanimous. Although it seems the court cannot agree on anything, apparently they all agree that a lawyer who had been disciplined on two prior occasions, committed 42 new violations affecting 12 clients and did not even bother to respond to the allegations should not have his license revoked.